Meeting – Thursday – November 2nd 2017 – Dinner @ 6:30 P.M. Thanks to everyone who came out for the meeting at The Clubhouse in Oakbrook on October 5th. Attendance was a packed house for this event, which made it a very enjoyable evening for all the members. There was a presentation given by Amanda Smith of the NAEC. Amanda gave us all a great presentation on what is happening with education from NAEC. Her knowledge of what we all should be looking for with their training courses left us all with a better understanding of what we should be doing for training our staff. November’s meeting RelaDyne will be presenting on their elevator lubricants. 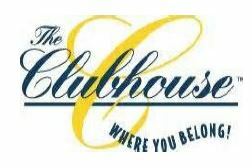 Mark your calendars for the next meeting on November 2nd at The Clubhouse in Oakbrook.